All cursed seals are given through the forbidden technique Cursed Seal Jutsu. You shall be randomized to get the seal that is listed below. To obtain this particular cursed seal, the chosen person is bitten by a snake to receive the instructions on how to form the potion that grants the user a seal, rather than to have one directly given through a bite from Orochimaru like the rest of his cursed seals. 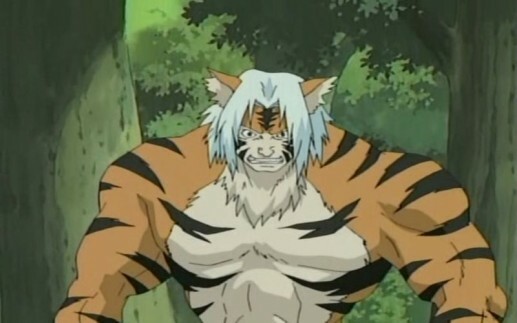 When the ingredients are formed into the potion and then ingested, the user will go into the first stage of the cursed seal and obtain enhanced abilities along with muscle growth and, in Mizuki's case with his tiger-like stripes, traits of an animal. This is one of the strongest of Orochimaru's cursed seals, the other being its counterpart: the Cursed Seal of Heaven. This cursed seal is particularly strong even amongst the other already powerful cursed seal with Kimimaro being the only known user. It consists of three slightly curved lines, which spread in a rip-like pattern. 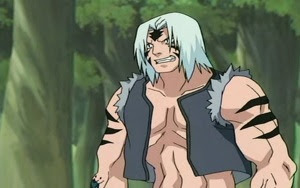 The seal is located of the upper portion of Kimimaro's chest over his manubrium. When the second level of the seal is active, Kimimaro takes on a dinosaur-like appearance complete with a tail. Several large bones also protrude from his darkened skin. Like all cursed seals, Kimimaro receives increased chakra levels and physical capabilities when the seal is active. The Cursed Seal of Heaven is one of the strongest of Orochimaru's Cursed Seals, the other being its counterpart, the Cursed Seal of Earth. The seal consists of three tomoe (the design known as mitsudomoe), similar to the Sharingan, which, when activated, spread flame-like markings across the user's body. Like all Cursed Seals, the user receives increased chakra levels and physical capabilities when the seal is active, to the point where with the second level, Sasuke was equal in power to Naruto's one-tailed form. The seal was applied at the left side of the back of both Sasuke's and Anko's necks. Jirōbō's cursed seal is the only one not seen before it is activated. However, the pattern that spreads during its first state are like chains of triangular arrows. When the second level of his seal is active, his skin turns red and his hair grows longer. He resembles an ogre or troll in this form. He also grows warts on his forehead and shoulders, and he claims his strength increases ten times, to the point where he can single-handedly lift a gigantic Chōji. Kidōmaru's cursed seal, seen only in the anime, is formed like a hook (placed with the sharp end down) with two tags at the end of the upper part. When the second level of his seal is active, his skin turns deep red, his hair grows longer and turns a light greyish colour, and he grows horns on his forehead and his elbows. He becomes more spider-like, almost oni-like in appearance in this form. By opening the third eye on his forehead, his accuracy increases to the point of pinpointing Neji's Byakugan blind spot from a distance of over 50 metres. Sakon and Ukon both have the same type of cursed seal, which consists of three circular dots placed like a triangular shape on their foreheads. When the second level of their seals are active, they resemble goblins with red skin, longer hair, a single horn (on opposite sides for each brother), and can grow black armour from their bodies (from the side where they separate). They can also extend their fusing abilities to someone other than each other, and tear their opponents apart on a cellular level. Tayuya's cursed seal consists of three hooks, similar to a triskelion on the back of her neck. When the second level of her seal is active, her hair grows longer, she grows five oddly-placed horns on her head, slightly resembling a crown, and her skin turns dark brown. The horns grow when she exerts herself. Her strength increases, to the point of breaking free of the Shadow Imitation Technique.